Gerber Legendary Blades produce some of the best multi tools and knives on the market. There's a lot of styles to choose from as well. One-handed or butterfly opening designs, mini tools that fit on a keyring, vehicle rescue knives and, of course, various Gerber accessories. 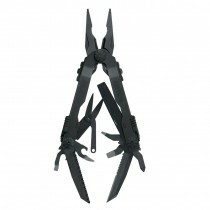 What's more, we offer these brilliant Gerber tools at some of the cheapest prices on the net!